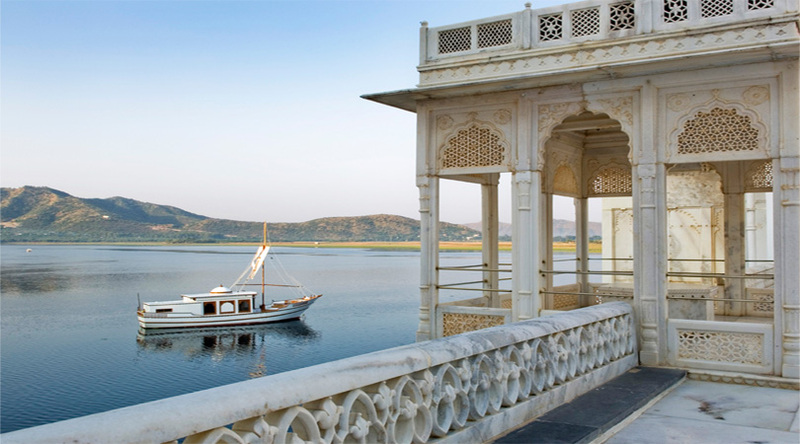 Encircled by captivating hills, Lake Pichola in Udaipur offers spectacular views of the city. The lake was widened by Maharaja Udai Singh. Later, Maharaja Jagjit Singh added two islands in the middle of the lake, which are now known as Jag Niwas (also called as Lake Palace) and ‘Jag Mandir’. This lake also has a sandstone dam known as the ‘Badipol’. You can find a large number of marble temples, palaces, mansions and a number of bathing ghats on the banks of this lake. Located in Jaisalmer, Gadsisar Lake is the only source of water supply for the entire city. This lake was built by “Maharwal Garsisingh”, with an intension to make it a reservoir to conserve rainwater. It is a beautiful lake. You may find a number of cenotaphs and small temples on the banks of the lake. Moreover, if you get lucky you might get a chance to spot few amazing birds around the lake. Fateh Sagar Lake is another man-made lake, built by Maharana Jai Singh. Afterwards, Maharana Fateh Singh got this lake reconstructed and therefore, it is named after him only. This scenic lake is located in Udaipur in the north direction of Lake Pichola. The scenery around this lake will surely take your heart away. 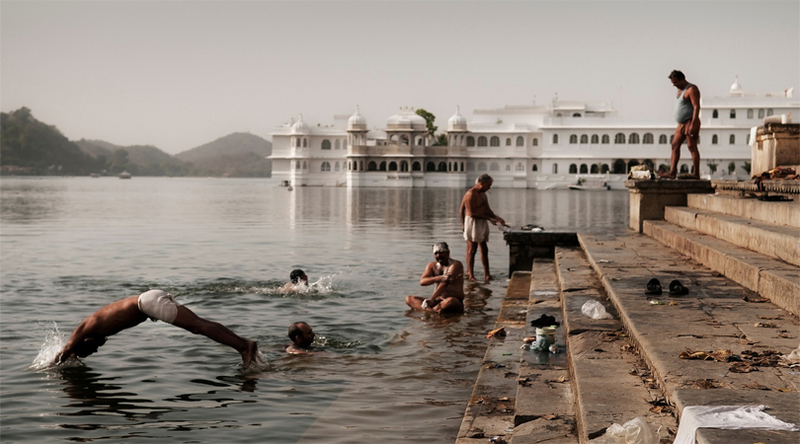 This lake serves as a major source of drinking water for the romantic city of Udaipur. Fateh Sagar Lake has three islands, which are Nehru Park, a solar observatory and a jet fountain. You can take exciting boat rides to these islands. Situated close to the Pushkar town (in the district of Ajmer), it is also an artificial lake that covers an area of around 5 KM. 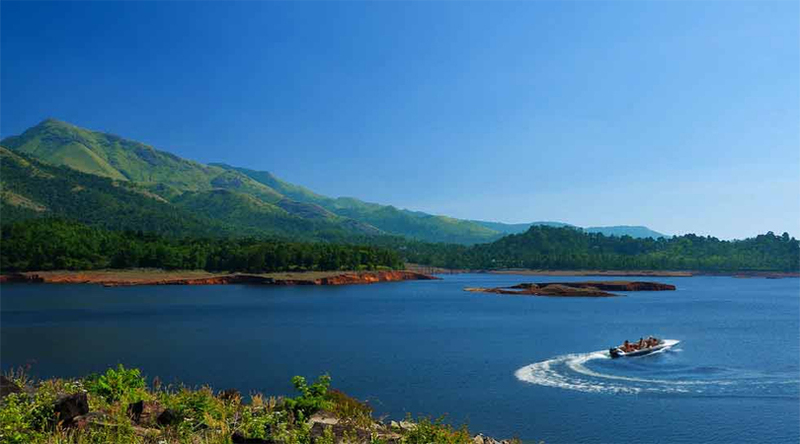 Encircled by the deserts and hills, the lake is known for its serene atmosphere all around the year. 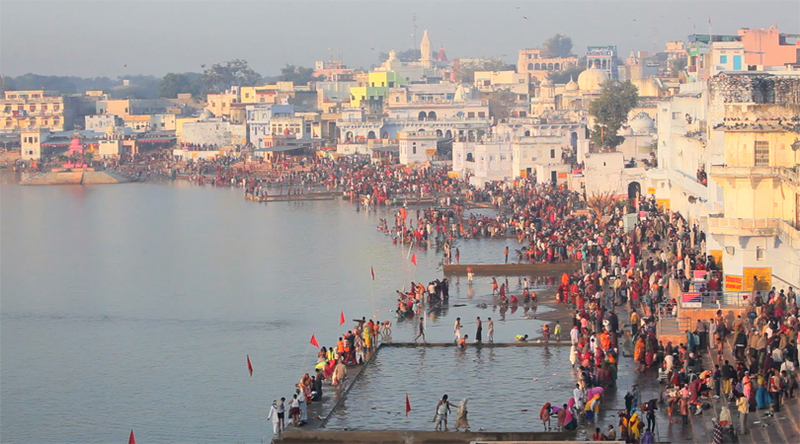 It is believed to be a sacred lake among the Hindus, the only lake related to Lord Brahma in the whole world. You may find 52 palaces, a total of 400 temples and 52 ghats, with each ghat waters having special powers. As per legends, this lake was built in the 12th century with the establishment of the dam across the headwaters of the Luni River. But, as per Hindu mythology, the lake was formed by the lotus petals that from the hands of Lord Brahma. 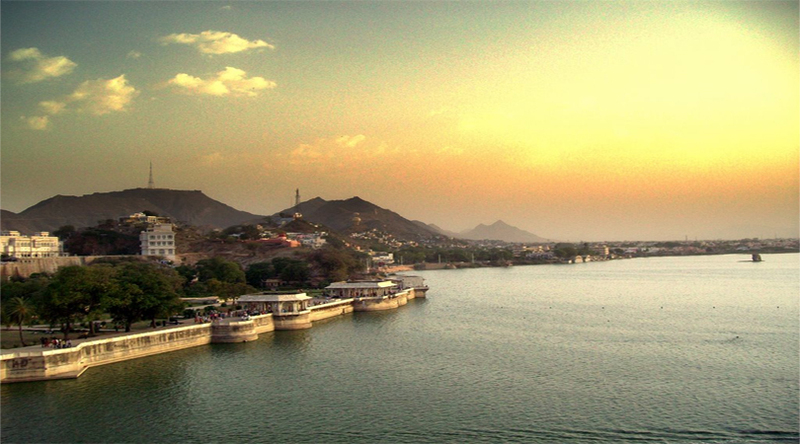 Located in the city of Ajmer, Rajasthan, Ana Sagar Lake is a popular man-made lake. This lake is named after the great emperor ‘Anaji Chauhan’, who built this lake in 1135 -1150 AD. Later, some additions were made around the lake by Mughal emperors Jehangir (Daulat Bagh Gardens) and Shahjahan (Baradari, a marble pavilion), which added a royal as well as beauty to the lake. Apart from these, Nakki Lake (in Mount Abu) and Sardar Samand Lake (in Jodhpur) are some of the other popular lakes of Rajasthan.